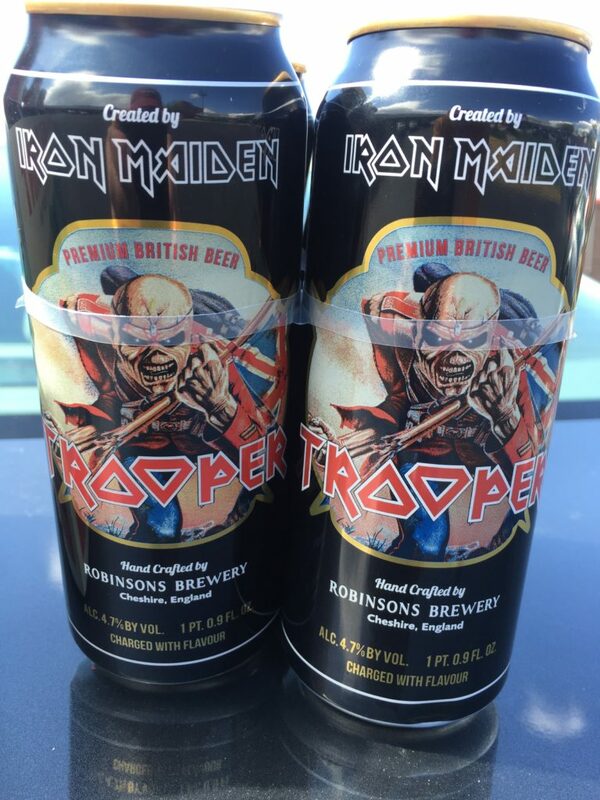 Being a huge Iron Maiden fan, I tried their beer, The Trooper, as anxiously as I play their new albums. I fell in love immediately with this English-Style Pale Ale. One thing stood out as odd to me: On the the Eddie/Trooper artwork on the pint-sized can (none of this 12 oz. American nonsense), I noticed the words ‘Charged with Flavor” near the 4.7% Alc inscription. Charged with flavor? What kind of corny slogan is this? That’s not Maiden. What is this, 1990s Maiden? Imagine going to a restaurant and a waiter recommending a dish that’s ‘charged with flavor.’ I’d pass just out of spite. But this is Maiden and whether it’s their music or their concerts, they rarely disappoint. Charged with flavor is accurate. The beer has some major enjoyable fruityish flavor to it, and I suddenly found myself guzzling it as The Trooper from their 1983 album Piece of Mind blared over the speakers. It made me feel like I was in a dark London pub. There’s more Iron Maiden beer out there which I hope to try soon, including Robinsons Trooper 666, which my longtime colleague highly recommended far more than this one. My rating: 5 of 5, though I’m probably giving it an extra star because of the label and my love of their music. Here’s lead singer Bruce Dickinson showing off the brewing process.